Do You Have to Go to College to Be An SEO? Home/SEO/Do You Have to Go to College to Be An SEO? As more teens graduate high school, and as others – already in the workforce – look for opportunities to make money, SEO has become a profession that draws them. It seems like an easy job, and tons of sites talk about the money you can make as a professional SEO specialist. With this in mind, it was no surprise to see a visitor hit our site based on the search query, “do you have to go to college to be an SEO”. It is, after all, a legitimate question. Are you a Certified SEO Professional? If you answered yes to the above question, it’s time to face reality. 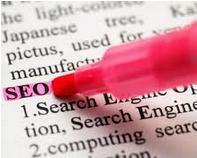 There are no official certifying organizations in the search engine marketing industry, yet. What we do have are a few organizations establishing themselves as what appears to be a certifying authority, which may or may not be in the best interests of the SEO industry. And, based on what I see some of those touting these certifications doing, I don’t think those doing the certifying want to take responsibility for these individuals. Or do you? No college or certification – what does that mean? Does it mean SEO is so easy you don’t have to have any training? Can you just sit down at a computer and “do” SEO? The reason – or one of them – that you can’t go to college for SEO is because it’s one of the fastest changing industries in the world of business. By the time you got out of college, half of what you learned would no longer be valid. The problem with certification, as the article referenced above points out, is that there’s no governing body. To this date, SEOs still cannot agree on a set of “best practices”. –And, again, in a year or two those best practices could very well be defunct. In such a fast-paced environment, what sounds like the fast lane to success can become a trudging path fraught with potential failures. So What Can I Do If I Want to Get Into Optimization? Obviously, becoming an optimizer isn’t impossible; otherwise, there wouldn’t be any. So, it’s not hopeless; if you want to become an SEO, there are options. Just be aware that the road to becoming a professional SEO specialist (vs. being an unknown) is neither fast nor easy. Option 1: Find a mentor. The first option is on the job training. Do the research necessary to weed out the crap from the gold. Find yourself a respected individual in the SEO community to become your mentor and work with you. Option 2: Learn on your own. There are places, such as the SEO Dojo or SEO Moz, that offer training and memberships. The training isn’t formal, however. What you have is a lot of information to read and practice on your own. Member groups help you understand what you’re reading and how to apply it – if you ask questions. Option 3: Go to college. Right about now, you’re saying, “Wait… but I thought you said…” Yes, yes, but read on, and all will become clear! Planning – An optimizer must be able to create a plan, or strategy, and arrange that strategy in a logical order. You’ll need to be able to build short and long-term goals/strategies. Organizing – The more projects an optimizer juggles, the more organized that optimizer needs to be. Depending on what level in the industry you reach (i.e. sole optimizer, optimization manager, agency optimizer in a team), you may be in a position where you have to coordinate between several departments (marketing, sales, web development, etc.). Organizational skills are extremely useful in optimization. Staffing – Again, depending on what level you reach, you’ll need to be able to create and fill job positions. For example, if you aren’t a copywriter, there will be times that you need one to complete a campaign; your client may not have one in house. At this time, you’ll need to write up a job description, know how to recruit people, and know how to screen the writers to get the quality you need. Web Development – Although the “higher ups” in the SEO community may now frown down at an optimizer lifting their hand to code, having the ability to develop websites is invaluable to a professional SEO specialist. Technical SEO, a subset of the whole SEO “thing”, is important to the success of a campaign; having a strong, foundational website greatly helps the campaign succeed. As well, knowing HTML, xHTML and other coding languages can come in very handy in the course of your work. Data mining and data analysis – Even optimizers that don’t offer web analytics as a service will eventually end up opening at least one analytics program in their professional life time, if not 20 or 30. With data mining and analysis courses, you’ll gain useful skills like being able to find relationships between data sets. 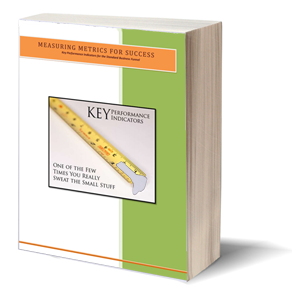 You’ll learn how to better target marketing prospects based on data feedback. You’ll also learn how to pull all the data together, from several sources, into a comprehensive report for use by your team and/or the client. Algorithm design – Where does algorithmic design come in? Part of optimization is being future-focused; in other words, creating future-proof strategies. One of the ways to do this is to keep updated on the patents being placed by the search engines and prepare for the eventualities to the best of your abilities. Many of these patents have to do with algorithmic changes; having a background in algorithm design can greatly help you understand what’s coming down the line, among other things. 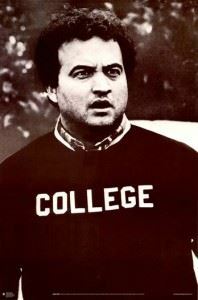 Now, although it was said earlier that college isn’t required, there’s a caveat to that. Many internet marketing firms require either a) one of the degrees above or b) 5+ years of proven experience with another SEO agency. Basic knowledge of website coding has proven an invaluable skill set for many a professional SEO specialist. There are literally thousands of college accredited, paid and free courses you can take to learn PHP, HTML and CSS (the most common languages). Whether you do the copywriting yourself or hire someone, you’ll need to be able to recognize good, strong marketing copy when you see it. You’ll need to understand the difference between key word stuffing and natural use, as well as how to define visitor needs based on search terms. A course in web analytics is also a valuable skill for optimizers. Once you implement a campaign, you’ll need to know how to track it, and understand the data coming across your screen. As with copywriting and coding, there are many courses available to choose from. One of these courses comes from Google itself, called Conversion University, which teaches you how to use Google Analytics specifically. As you can see, becoming a real SEO (as opposed to someone just guessing) takes more than just knowing how to use a computer. 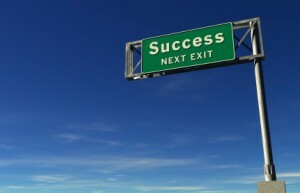 Whether you go to college and take courses to help you or not is up to you. In general, college degrees and courses help as a supplement to real life experience, but not as a direct method to learn SEO. There really is no experience like real life experience; there’s no training ground as good as the real thing. Before making a decision, really do your research. Decide how much time you can afford to take learning this industry, and how much work you’re willing to do. Becoming a professional SEO specialist isn’t easy, but – if you like excitement, constant change and challenges – it can be one of the most rewarding jobs you’ll ever take on!